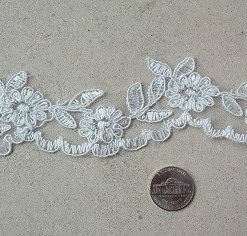 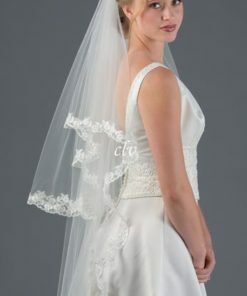 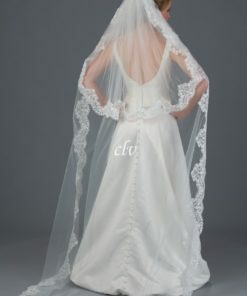 In my experience, you can never go wrong buying a drop veil with lace edge. 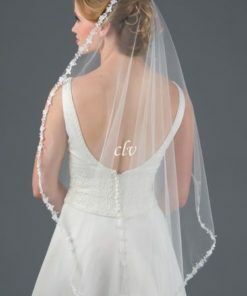 This particular bridal veil beauty will surely wow your wedding guests. 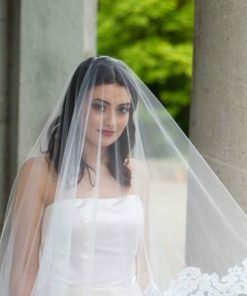 A celeb inspired dramatic drop veil made out of illusion bridal tulle measuring 30″ X 45″ and finished with a gorgeous, lace edge finish. 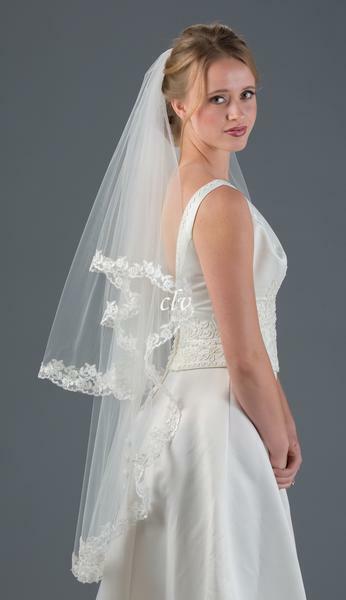 A center metal comb allows you to wear the veil many ways.